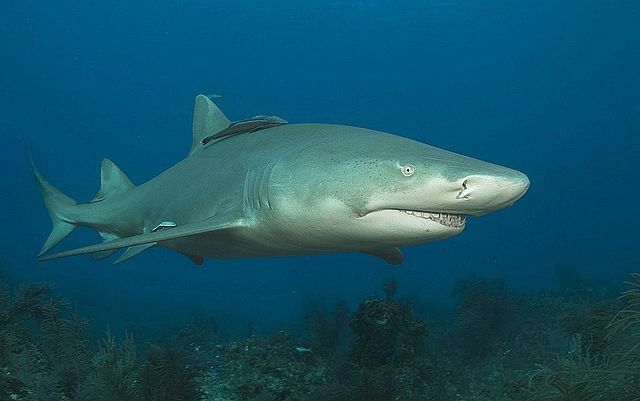 A shark bite has been reported at Satellite Beach, Florida. The unidentified man notified Lifeguards he was bitten on the left leg around 2:55 p.m. today. The surfer had been wading in the water off of Pelican Beach Park when he was bitten by what appears to have been a small shark. He was bitten once on the calf before the fish released his leg and swam off. Brevard County Fire Rescue responded to the scene, but the man declined transportation to the hospital. There have been a total of forty-two shark attacks bites in 2016. Five of which were fatal. Seventeen reported in the US, with twelve occurring in Florida. Ten have occurred in Australia, three of which were fatal. All locations have been marked on the 2016 shark attack bites tracking map.